The new M5 is writing history and slowly becoming a future icon for the BMW M brand. Most of the credit goes to the brilliant M xDrive system which allows you to choose how the power is distributed between the two axles and how the car responds to the driver’s input. The video below proves exactly the point BMW was trying to make when developing the new M5, as the driver seems to enjoy his time behind the wheel by the plentiful. The footage was shot by the guys from French magazine L’Argus and takes us around our favorite track in the world, the Nurburgring, or the Green Hell as Jackie Stewart called it back in the day. The nickname stuck over the years and it definitely is deserved as the track is abnormally long compared to anything else in the world, includes plenty of elevation changes and coupled with the weather in the Eiffel mountains it can turn on you in an instant. The biggest issue racers face on the Nordscheilfe is the fact that it can start raining at any moment. Given the 20-kilometer length of the track, by the time they can get back to change their tires, they have to face the complicated layout of the track on slippery tires. That’s something the M5 can deal with easier now that it has all-wheel drive. The car can be set up to send power to the wheels in three different ways. By default, the BMW M5 starts off in 4WD mode, where power is distributed in a 60/40 percentage between the rear and the front axle. Then there’s 4WD Sport mode, where the car is visibly rear-wheel biased, allowing great burnouts but also incredible drifts on the track, as you can see in the footage below. It definitely looks like a lot of fun but 2WD mode is even better as it allows 100 percent of the power to go to the rear wheels, in every single gear. 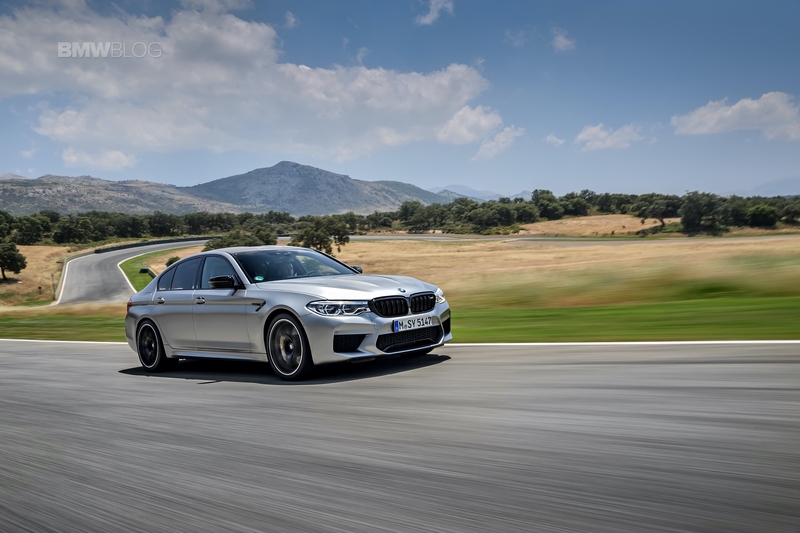 That’s the biggest difference between BMW’s M xDrive system and the 4Matic system of the E63 AMG model, which sends power to the rear wheels alone only up to third gear.